The Kymco K-Lite is up there with the lightest mobility scooters on the market today. It has been designed to maximise transportability, manoeuvrability, and performance. The Kymco K-Lite is up there with the lightest mobility scooters on the market today. 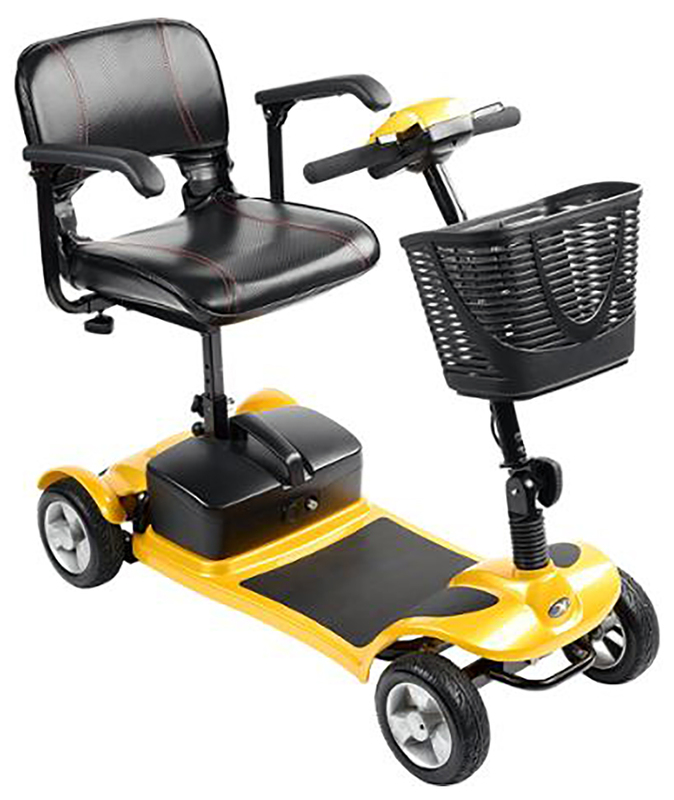 It has been designed to maximise transportability, manoeuvrability, and performance. The heaviest component weighs only 14 kg which makes it ideal for travel. A new feature includes the all-round suspension system. This will bring extra comfort to your journey, especially when using on uneven terrain. To further enhance your ride quality, a breathable swivel seat is included to help you transfer to and from the chair much easier. Also, the puncture proof tyres will provide you with peace of mind on those longer journeys. This scooter has also been designed for practicality. The patented "docking system" can be operated using only one hand and makes taking the scooter apart much easier. Once dismantled, it’s small enough to be stored away in a car boot or small storage space until you’re ready to use again. The wig-wag controls mean that you can drive the scooter using only one hand. To adjust the tiller, simply turn the soft rubber grip knob until you find an angle that is suitable for you. On the control panel, the ignition and horn switch are waterproofed meaning you don’t have to worry about being caught out in the elements. This excellent lightweight scooter has a front basket for your personal items. 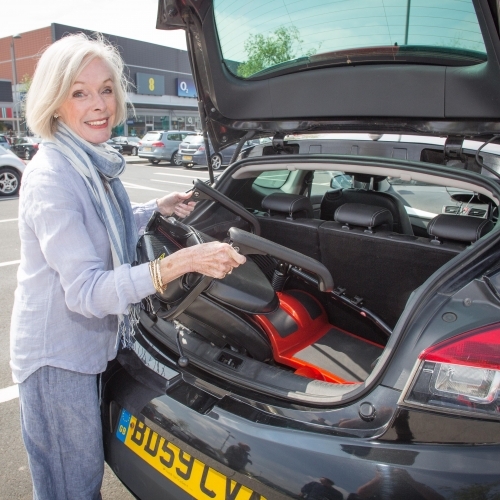 It has a maximum user weight of 19.7 stone, a top speed of 4mph, and can travel up to 10 miles on a full charge. Available in 4 different colours that include glossy black, flame orange, golden lemon, and metallic mink.